Was The Lamborghini Huracan Performante Lap Record Faked? The last thing we need is another scandal to rock the faith of us enthusiasts. Thanks to scandals like Dieselgate and GM’s ignition scandal, trust in the automotive community is at an all-time low. Currently, Fiat Chrysler is under investigation by the feds for allegedly installing cheat devices on its EcoDiesel engines while Ferrari has been accused of developing a device that rolls back the odometers of its cars and knowingly allowing dealerships to use them. Now the latest controversy comes to us via car blog Bridge To Gantry and YouTuber Misha Charoudin. 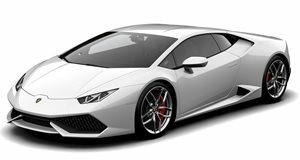 The subject in question is the recent Nurburgring lap record of the ultra-fast Lamborghini Huracan Performante, which shattered the lap time record for production cars by an astonishing five seconds. The previous record holder was the Porsche 918 Spyder, which has 887 horsepower and highly sophisticated track-bred technologies to help it ferociously claw the pavement. On the other hand, the Performante boasts between 625-640 horsepower, a lighter body, and aerodynamic upgrades to keep ahead of the heavy Porsche, but is that really enough to cream the 918 around the Green Hell? According to Lamborghini’s own video of the lap, maybe not. The inconsistencies begin to emerge when looking at the speedometer that's layered onto the video and what the Huracan’s actual speedometer shows. At the same RPMs, different speeds can be seen on the layout, leading Bridge To Gantry to believe that a GPS speedometer was used to relay the speed layered on the video. While these devices are very precise, trees and other obstructions can cause temporary glitches. Breaking the video down frame by frame, we can see that in some sections, specifically at the 4 minute 28 second mark during the Performante’s lap, the speedometer goes from 131 km/h to 160 km/h in a single frame. The very next frame, the speedo reads 190 km/h. This could be because of the GPS speedometer, but an alternate theory suggests that it could also be the result of the automaker adding up the fastest sectors of track cleared by the car to get a hypothetical fastest lap rather than just using the lap where the car actually went the fastest. Misha Charoudin's video further backs this up by pointing out that the frame leap seems to show shadows move a foot or more in that fraction of a second leap, indicating footage from two separate times of day. However, the real meat and potatoes used by Huracan Performante lap time conspiracy theorists comes when layering the Lamborghini’s time against the Porsche 918’s. In many sections, the Porsche can be seen entering and exiting a portion of the track at faster speeds than the Huracan. Still, on camera it was being beat by the Lamborghini in terms of the time it takes to clear these sections. Bridge To Gantry speculates that the video is sped up by nearly five percent, making the Lambo appear to lap the ring faster than it may actually have. It would be a huge blow to the automaker’s reputation if it was caught lying about its lap time, but given Ferrari’s recent scandal, it seems more plausible to see an automaker blur the lines of the truth. Whether or not Lamborghini forged a lap time that it did not actually make, there’s no denying that something is off about the whole thing. And then things came raining down on Lamborghini when, according to Jalopnik, Pirelli issued a press release claiming that the tires worn by the Performante were made specifically for the record attempt. If these tires are not the same set that comes on production units of the Performante, this would mean that even if the lap was real, the Performante would no longer be the fastest “production” car. Hopefully we can get to the bottom of things because it would be sad to see the legend of a car as epic as the Huracan Performante marred by a botched attempt to beat Porsche.